Last season, Jenn and I met as co-workers at Left Field Farm in Bowdoinham, ME. We got to know each other and developed a strong working relationship while weeding carrots, harvesting sungold tomatoes, and packing CSA shares. We worked side by side with farmer & owner Sean Hagan, who moved to Maine after farming for many seasons in California. It was really special to be a part of Left Field Farm's first season, and although we are no longer weeding the carrots, we are thrilled to collaborate in new ways. We appreciate Left Field Farm for many reasons. The land is located on the shore of Merrymeeting Bay, and the soil is rich from years of organic cultivation. 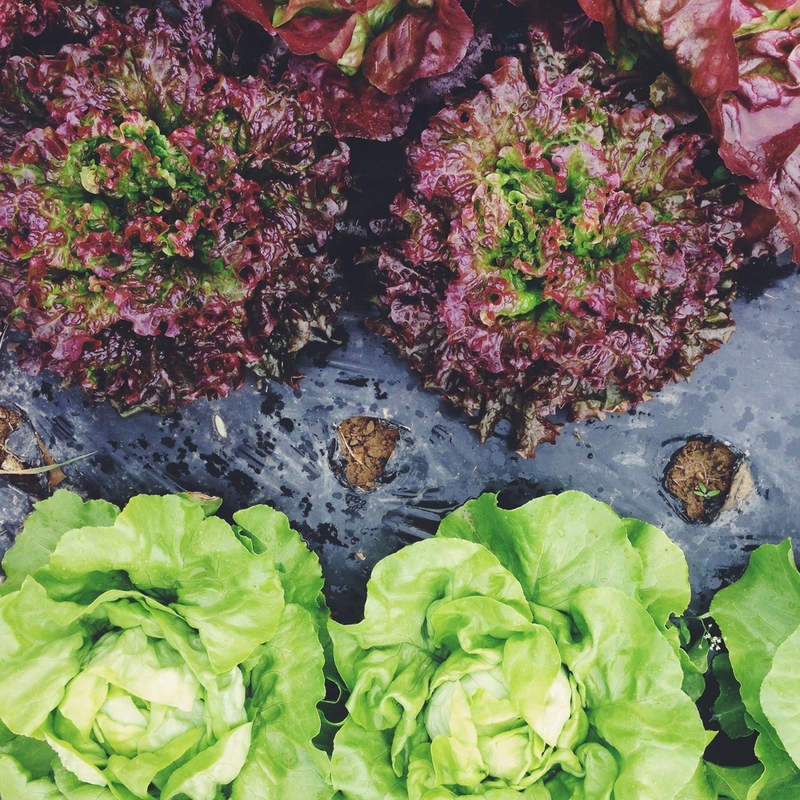 Farmer Sean's attention to detail, organizational skills and artful nature all combine with the sea side land to help produce absolutely gorgeous vegetables. Today I visited the farm to pick up one of Jenn's favorite spring crops, sprouting broccoli, which we are going to use to make a seasonal spin on kimchi. It was a great visit and inspiring to see all of the progress that a second season brings. 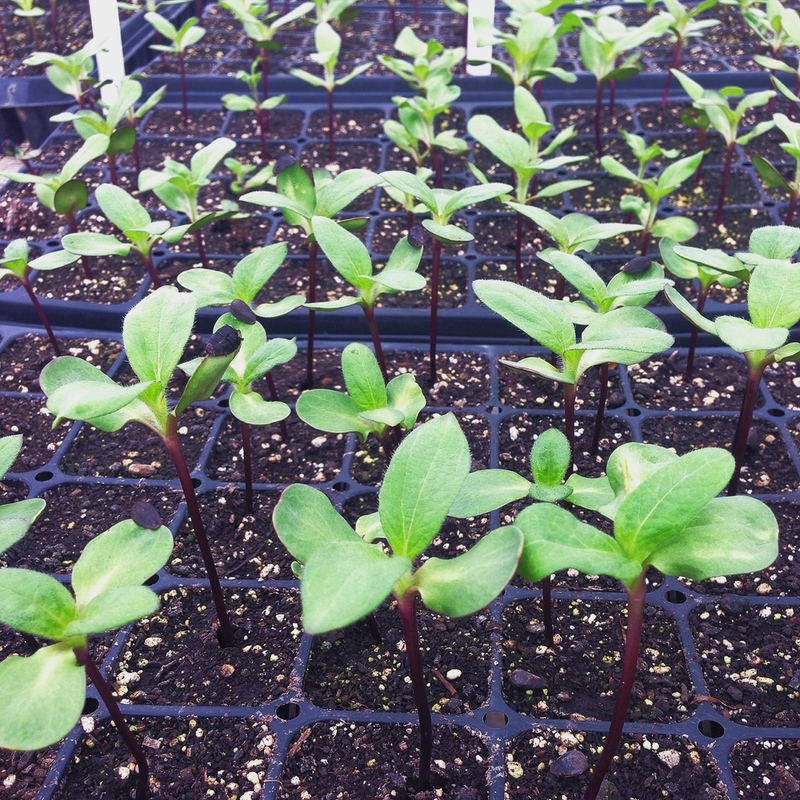 I got to meet the new crew, who were hard at work in the wash station, check on the seedlings in the greenhouse, and feel the freshness and potential of a new growing season in the air. Thanks Left Field for being an important part of our food community! 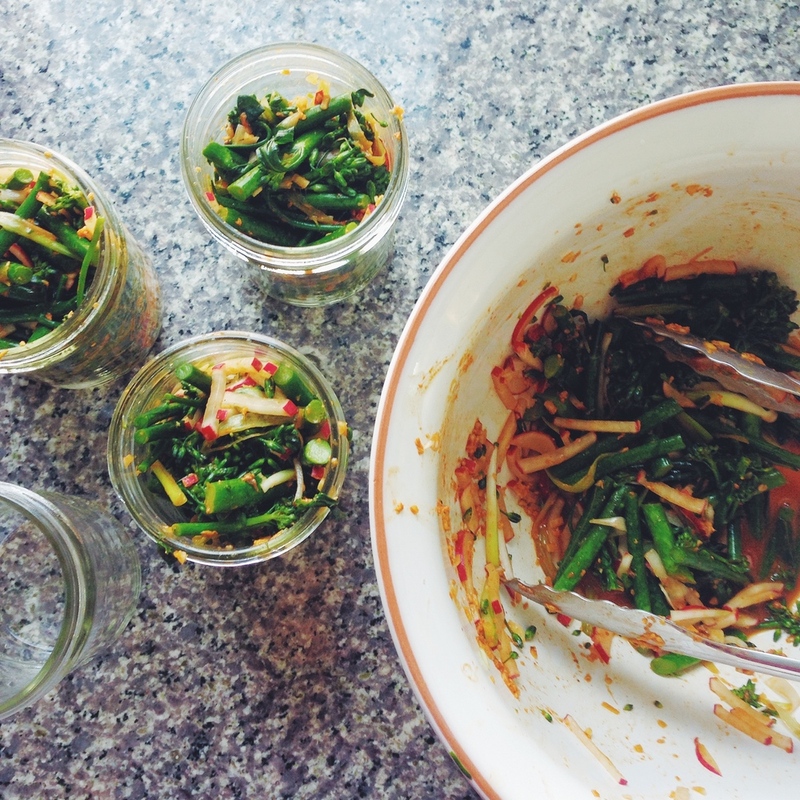 This recipe is not fermented like a traditional cabbage kimchi. Instead we use a balance of lemon juice and anchovy to achieve the sour pickle flavor of kimchi. Cut scallions into 2" strips. 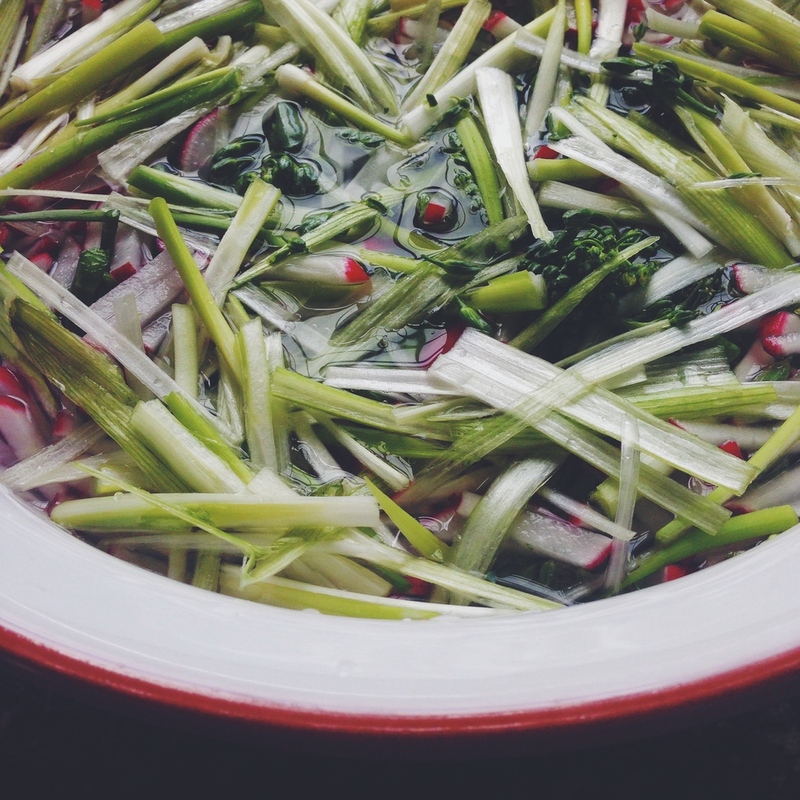 In a large bowl combine broccoli, radishes and scallions. Make a brine by dissolving 1/4 cup of salt into 8 cups of room temperature water. Pour the brine over the vegetables to just cover them, then put a plate on top of the vegetables, and weigh down the plate to keep them submerged in the brine. Cover with a clean heavy towel and let sit for 8 hours, or overnight. Drain the vegetables, reserving the brine. Add spice paste and lemon juice to vegetable mixture, and toss to coat thoroughly. Pack into ball jars and cover with reserved brine. Cap and store in refrigerator for up to a month. 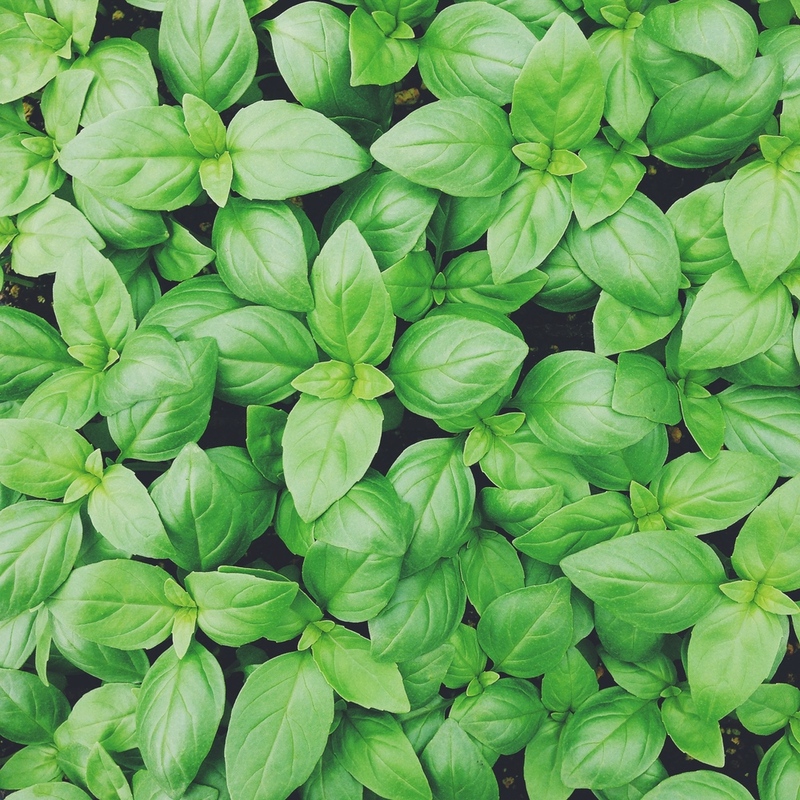 Flavor will continue to evolve with time.